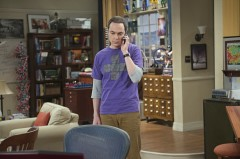 We have added pictures from The Big Bang Theory's ninth season premiere, "The Matrimonial Momentum", to our gallery. In the episode, Leonard and Penny deal with the ramifications of Leonard's surprise confession as they head to Vegas to get married. 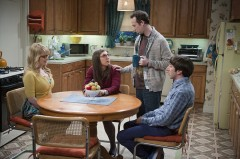 Meanwhile, Sheldon isn't sure what to do when Amy calls for a pause in their relationship. View more pictures in The Matrimonial Momentum album. The Big Bang Theory's ninth season premiere airs Monday, September 21 at 8/7c on CBS. The show is starting its ninth season on Monday nights before it returns to its regular Thursday home on November 5.